MUMBAI: Armaan Malik will be hosting first of its kind ‘Meet and Greet’ with fans today at Taj Lands End in Bandra, Mumbai. The singer will be meeting his chosen 100 fans on the occasion. The Wajah Tum Ho singer who has tasted success in a very short span of his career credits fans for it. He, therefore, wanted to express his gratitude towards his Armaanian army by organising this event for the fans. The 22-year-old singer had earlier made the announcement on his Twitter handle, inviting fans for the ‘Meet and Greet’. Hey Guys, click on the link below before Thursday, 28th June to register for a special meet and greet with me in Mumbai on Saturday, 30th June! The fans were asked to register on the above-mentioned link. Lucky 100 fans were selected across the country and a personal invite was sent to each one of them via an email. 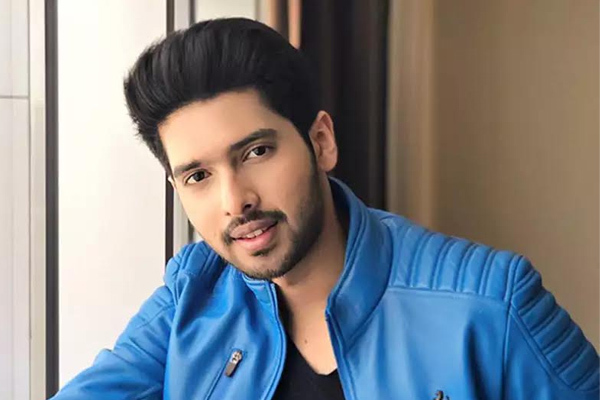 Armaan will greet his fans by singing his famous songs. The thirty-minute performance will have the singer crooning all songs requested by his fans present at the event. The Ghar Se Nikalte Hi singer has been quite excited about the event and his social media post say it all. Can’t wait to meet the #TheArmaanianArmy in Mumbai on 30th June for the special Meet & Greet event! Armaan Malik is the only Indian artist to organise such a large-scale event for his dedicated fans. The ‘Meet and Greet’ will be held today at 3pm. Speaking about the event, excited Armaan said, "Rarely people do this kind of Meet and Greet. It's not a normal hi and hello kind of event, but I have planned something fun for the fans." "I have never done a concert in Mumbai. I wanted to thank fans for being quite supportive. Hence, the idea of Meet Greet happened as a build-up to the concert, which is yet-to-be-locked but might happen by the end of the year. The concert might also have Amaal's performance," said Armaan as he revealed the idea behind the Meet and Greet. MUMBAI: Singer Ozzy Osbourne has postponed all of his 2019 tour dates. MUMBAI: Singer Rabbani Mustafa Khan’s newest single, Aaoni Saiyyon released today on Times Music. Featuring Prerna Wanvari and Ansh Gupta, the song is a romantic number that beautifully picturises love, romance and longing in a relationship.